Victoria will introduce industrial manslaughter laws, Australia's highest maximum work safety fine of more than $16 million, and special workers' comp benefits for emergency workers, after Labor retained power in Saturday's State election. > Bill combines OHS consultation provisions. > Controversial workers' comp Bill defeated in Vic. 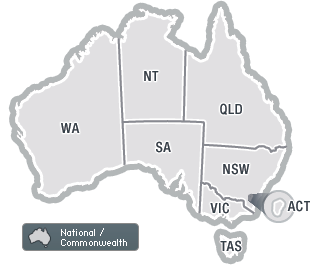 Labour-hire licensing and workers' comp Bills have passed Victoria's Lower and Upper Houses of Parliament, while NSW has made a declaration on WHS certificates of competence, and Western Australia has published a new Code of Practice for emergency management. Companies or officers who have breached work health and safety or workers' comp laws within the last five years will be blocked from providing labour-hire services under Victoria's new licensing scheme. A 30-page Bill quadrupling maximum fines for failing to report safety incidents or preserve incident sites to more than $190,000 passed Victorian Parliament last night, despite the State Opposition arguing that there is no basis for the dramatic increases. > Regulators launch structure blitz and release fatality alert. > Radiation Regulations and RIS released for comment. > Vic finally commits to presumptive cancer compensation.